What if I told you I was going to to open a shop selling some of the finest crafted chocolate from around the world? "Sounds like a delicious idea," you would say. And I am also going to have variety of finishing salts for sale as well. "Interesting," you would say, nodding your head. 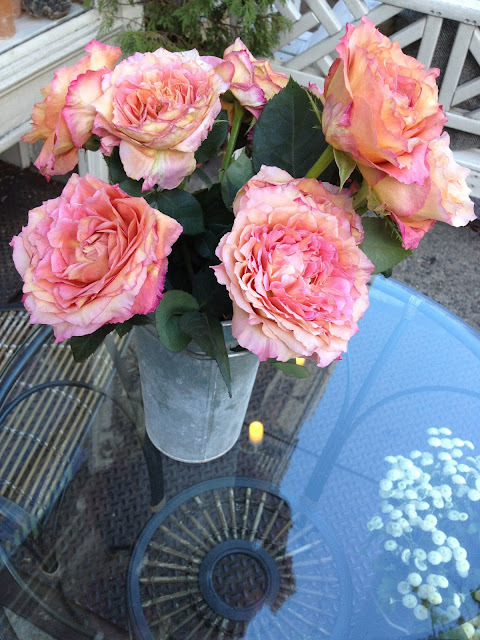 And flowers. I am going to sell flowers. "OK," you respond, not quite as sure of my idea. What if I told you I was also going to sell a deep selection of cocktail bitters? "What are you talking about?" is the only response that comes to mind. I walked into The Meadow a skeptic. I left a big fan. The store is the brainchild of Mark and Jennifer Bitterman (great name and, funny enough, no relation to Bittermens Bitters, which they sell). The original store opened in 2006 in Portland, OR (now it starts to make sense). The New York City store opened in 2010 in Greenwich Village where Mark grew up. The New York store is divided into sections. 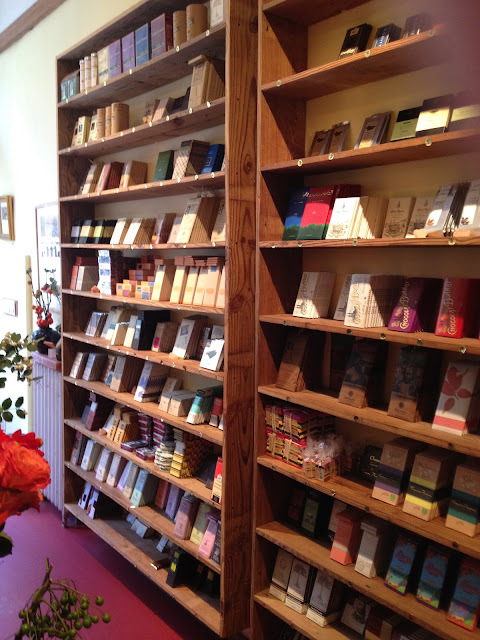 Chocolate takes up the left wall of the shop. Salt takes up the right wall and part of the front window. Bitters are in the back. A large table runs through the middle of the store, dividing it in two. The table holds the flowers. It is a beautiful store. First, the chocolate. 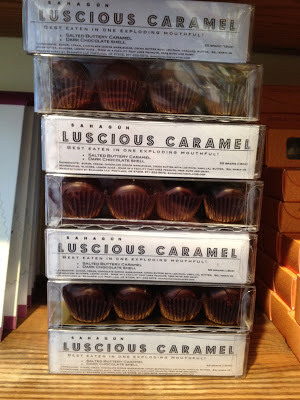 The chocolate is arranged by maker, dark and milk, single origin and flavors. It is a chocolate lover's dream. Once you have finished being mesmerized by the chocolate wall you can turn your attention to the salt wall. The finishing salts take up the entire wall on the right side of the store. They are in large glass containers that show off a surprising array of colors. 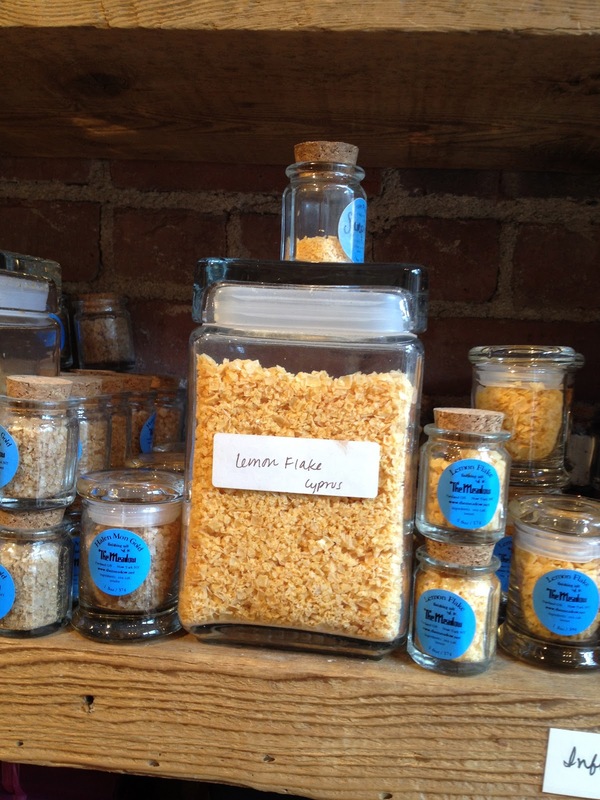 All of the salts can be tasted and they are sold in glass jars of various sizes. If you are not up on the remarkable diversity of finishing salts (I certainly wasn't) the Meadow will be an education. 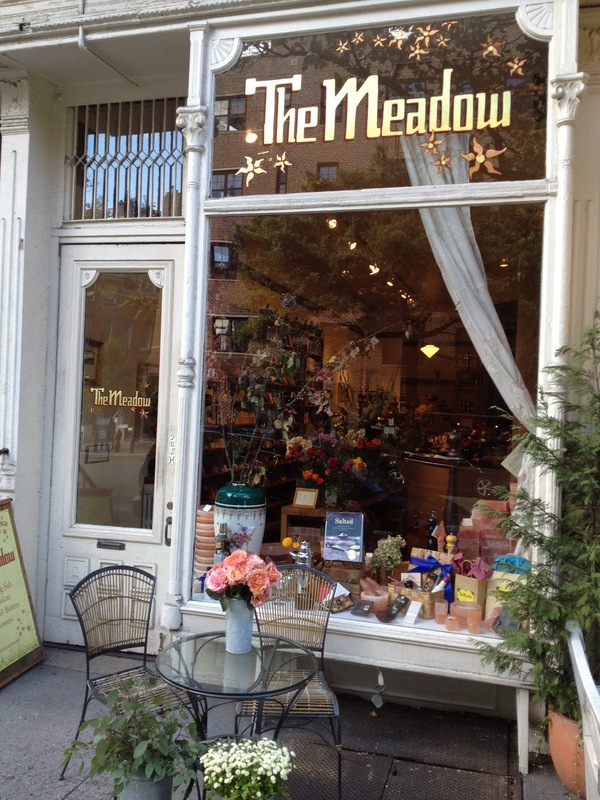 The Meadow also carries Himalayan Salt Blocks in various shapes and sizes, including bowls and platters. They offer a unique way to serve food with a platter that adds taste and texture to the food. By now you have walked around and noticed the bounty of flowers smack dab in the middle of the store. The flowers for sale are gorgeous and more than an after thought. Every inch of The Meadow has been well curated. With its array of fine chocolate, finishing salts and flowers The Meadow is the perfect place to pick up a hostess (or host) gift, especially nice this time of year as the holiday parties kick into high gear. All this makes The Meadow a worthy stop. But it is the last item of focus for the store that puts it over the top for me. There is a quirk in New York's (and possibly else-where's) liquor laws that does not allow liquor stores to sell cocktail bitters. I believe they are considered mixers, which is nuts, and thus while you can get two parts of a Manhattan at your liquor store, you cannot get your bitters there. Maybe this wasn't a big deal when the only bitters people knew were Angostura Bitters and they would pick some up along with some maraschino cherries at the supermarket. But with the resurgence of the cocktail here in New York, and across the country, one bottle of bitters wont do. I am a cocktail enthusiast, and I am always searching for new and interesting liquors and bitters. 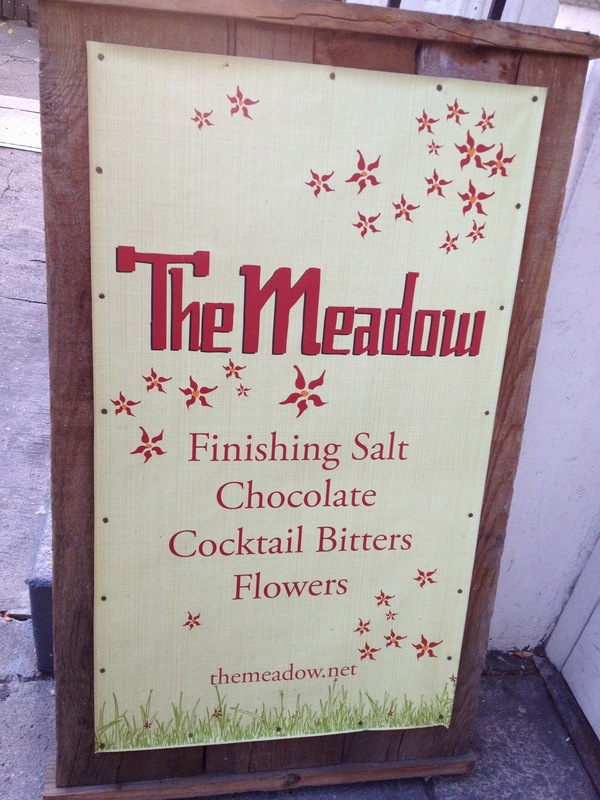 The Meadow may be the Holy Grail for the home mixologist. The Meadow has the largest and deepest selection of cocktail bitters I have ever seen (if you know of a deeper one, please let me know). They carry Fee Brothers, Angostura, Paychauds, Bittermen's and most of the leading lights you may be familiar with as well as bitters from the US and the UK that I was unfamiliar with. Berg & Hauck, Bob's, Robert Lambert and Bitter End are just a few of the other brands on offer. And the really beautiful part is that every single one is available for tasting. I could spend an hour just trying and talking about the bitters at The Meadow. I almost did. In fact I picked up a bottle of Bittermens Burlesque Bitters after a taste and it has been spicing up my Manhattans ever since. wow. 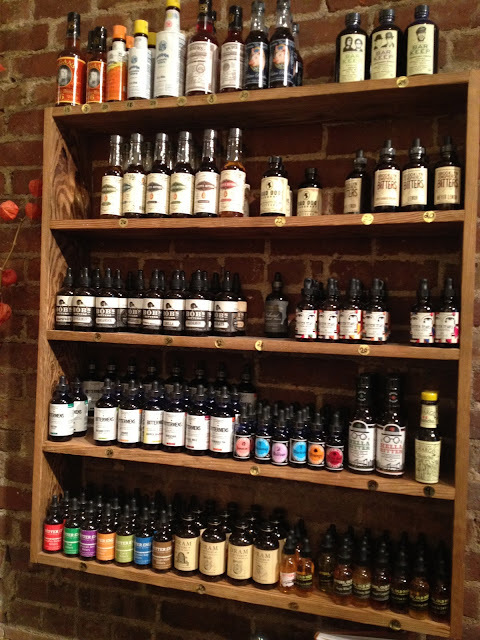 this shop is going to be right up there at the "to do" list when we get to nyc later this month. nice find!! play with you and even they become clueless to what you say, the game itself is straight forward. Thank you for posting this article with us. It is really very informative article for me. I am in love with Meadow . It is just awesome. I take them and enjoy them every now and then. I like to red articles like this. Thank you for posting this article on this website. I hope you will post more article like this on this website. Thank you for share this blog. A simple and better navigatio to get your famous videos that too in one platform. how beautiful it is. Click Here to Download the latest application for Android phones. Amazing information provided in the article. Thanks for sharing.